In October 2017, Vadim Pushkarev, a Moscow-based lawyer, uploaded his genetic code to a new service called Zenome that promised him more than just information about his ancestry. This company was offering cryptocurrency. “23andMe sells your data to other companies,” Pushkarev told me. So, he reasoned, why shouldn’t he sell his? Zenome’s pitch is this: Upload your DNA data from a company like 23andMe, and Zenome will connect you to other companies that might want to sell you their own DNA-interpreting services or to buy your data for research. In the companies own words, it’s a “decentralized market for genomic data and services.” All powered by blockchain, of course. Now, your genetic code is extremely personal information, and for a host of reasons, like maintaining privacy around your health, it’s probably not a great idea for you to sell that data to just anybody on the internet. Zenome’s marketing does not exactly inspire confidence. An electronic music-backed video on the company’s website urges people to help “start the fourth technological revolution,” an invitation that feels more related to a ‘90s-themed rave than a genomics startup. But Zenome is not the only company angling to create an online marketplace for buying and selling genetic information. Last year, former executives from DNA-sequencing giant Illumina got together to start Luna DNA, a “genomic and medical research database powered by the blockchain,” which is slated to launch this year. Another company, DNASimple, matches people directly with research studies and pays them for it. A handful of similar startups are in stealth mode. Bob Kain, the CEO of Luna DNA, told me that the company’s primary goal is to incentivize more people to share their data and store it in one easily accessible place, so that more medical researchers can access it. “Companies tend not to share their data with each other. If all the companies shared their data, the databases would be 10 times larger, and we would be driving much more discovery,” Kain said. Like Zenome, Luna DNA’s model incentivizes participation by rewarding it with its own cryptocurrency, in this case the Luna Coin. The company thinks of it as giving each participant a little piece of ownership over the database. Luna Coin, a model still in development, will have monetary value and can be cashed out, though Kain did not elaborate on how exactly participants can spend them. The more you share, the more your Luna Coin stash grows. Researchers can then buy the anonymized data from Luna DNA, also using Luna Coin. The use of the blockchain to secure data and the community ownership model, Kain said, address some of the concerns associated with consumer DNA-testing companies like AncestryDNA and 23andMe. “We are going to enable community members to own the database,” Kain said. These kind of marketplaces may very well be the future. 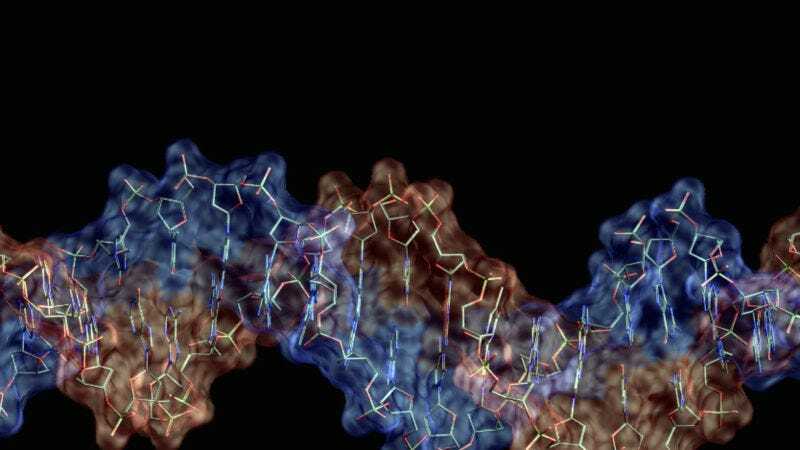 Human DNA has become a valuable research commodity, as drug companies, academic researchers, and governments all mine DNA databases in their search for new treatments and health innovations. In 2016, one market research firm predicted that biological samples will generate $23 billion in revenue by this year. At the same time, consumers like Pushkarev are more aware of the value of their genetic information and want compensation for it. Why should 23andMe charge you to make money off of your data? But how do you know the true value of your genetic information? What are the security risks of sharing that information online? And what about the risks of sharing intimate information about your health and family without knowing exactly where it might wind up? We still don’t fully understand how sharing our DNA publicly could affect us or our descendants in the future. Just last month, the Federal Trade Commission issued a statement warning consumers about potential risks. A worst-case scenario, for example, is that a person could one day face employment or insurance discrimination, or even social stigma, based on their genetic information. The Harvard geneticist Robert Green told me that a marketplace that encourages more people to share their genetic information could be a boon to medical research, but it will be hard to get right. Enabling medical research is important, but so is protecting the privacy of people’s genetic information. Selling your information for medical research is one thing, but what if it’s going to be used for targeted marketing? And medical research may not be the only way such marketplaces wind up being used. The founders of Zenome, for example, were originally inspired to form the company when Unilever was looking for genetic information to help it launch Marmite in Russia. Selling your information for medical research is one thing, but what if it’s going to be used for targeted marketing? In addition to all the usual risks of sharing your genetic information, he said, these marketplaces add a new concern. Pusharev told me he originally signed up for Zenome simply because he wanted information on whether or not he was a carrier of a specific genetic disease, congenital lactose intolerance, which his son suffers from. At that point, 23andMe was still banned from telling consumers about health risks by the FDA. It turned out he was a carrier. But he also believes consumers should be able to profit from their data, and that monetary incentives will spur the kind of innovation that could help people suffering from genetic disorders like his son’s in the future. “The more people do genetic tests, the more practical applications of genetic data we will achieve,” he said. It seems almost inevitable that one day we will commonly buy and sell genetic information online. Just beware of to whom you sell it.